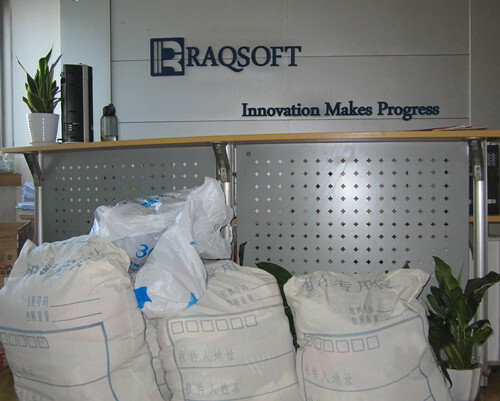 Beijing, China: September 29, 2012—Raqsoft, the industry leading desktop BI software supplier for data computation and data analytics organized supplies donation to help poor people in China. Those supplies include clothes, stationery, books and daily necessities. These supplies will be delivered to the Sun Village in Shunyi district of Beijing and Benevolence Supermarket in Gansu province. Sun Village and Benevolence Supermarket are the charity organizations of China and responsible for handing out these items to the underprivileged people across China. It’s the second time that Raqsoft organized such kind of donation. All the staff of Raqsoft are actively participating this campaign to make the life of less fortunate people in China a bit easier. The responsible person of Benevolence Supermarket expressed her gratitude:” On behalf of the poor, I would like to express the sincere thanks to Beijing Raqsoft Co., Ltd, the leading desktop BI software provider. Thank you for your continues support and your donation will benefit a lot of poverty-stricken people around China.” “We are appreciated your generosity! Your kindness gives hope of the children in need. We hope more and more companies will be inspired to join our charitable aid,” a staff of Sun Village said.